My husband and I love mussels. It’s our go-to appetizer whenever we’re out to dinner. 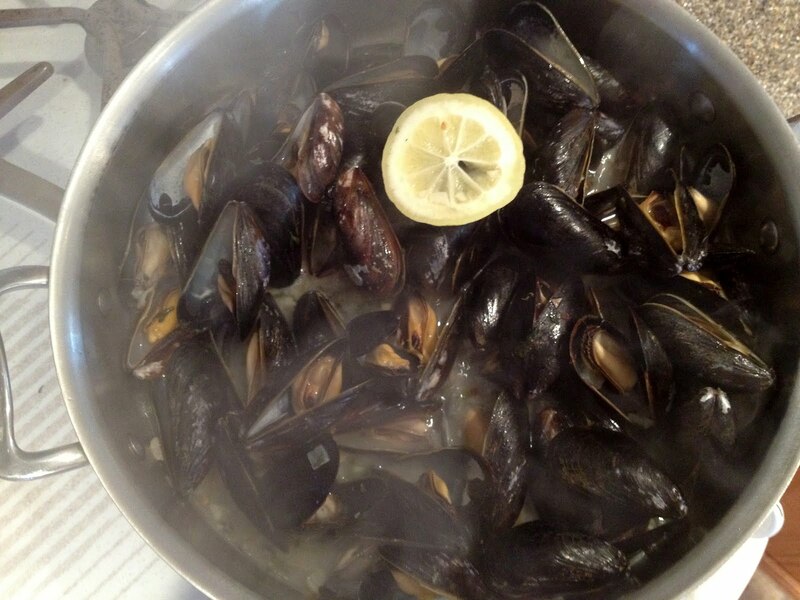 When we honeymooned in France, one of our favorite meals was at a “Moules-Frites” restaurant where we dined on mussels and french fries while sitting outside on the Champs-Elysees in Paris. 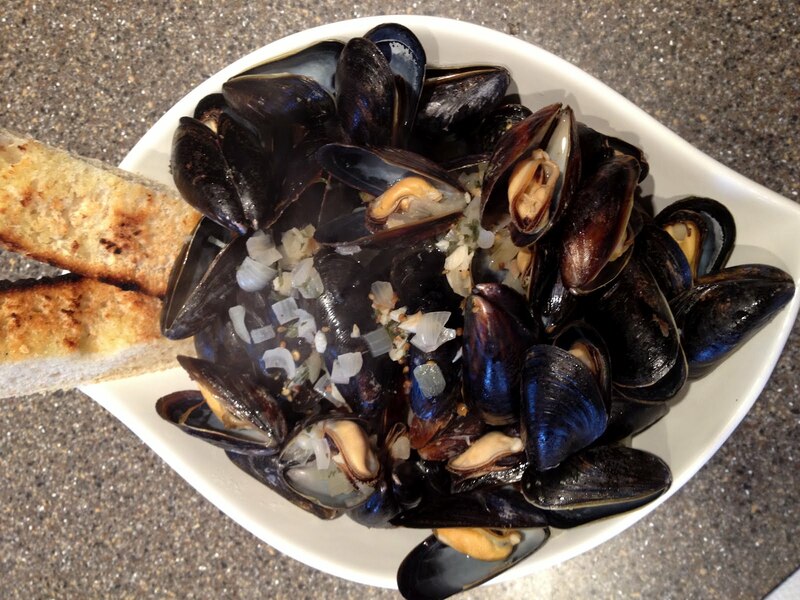 When we’re not a restaurant (or in France for that matter) we use the recipe below to make mussels at home. It’s so easy and tastes gourmet. Of course, I recommend eating with grilled bread to sop up the delicious broth. Heat oil in heavy large pot over medium-high heat. Add onion, garlic, fennel seeds, crushed red pepper and salt; saute until onion is light brown, about 4 minutes. Add wine, lemon slices and 1/4 C parsley; bring to boil. Add mussels. Cover pot and cook until mussel shells open, stirring once to rearrange mussels, about 6 minutes; discard any that do not open. 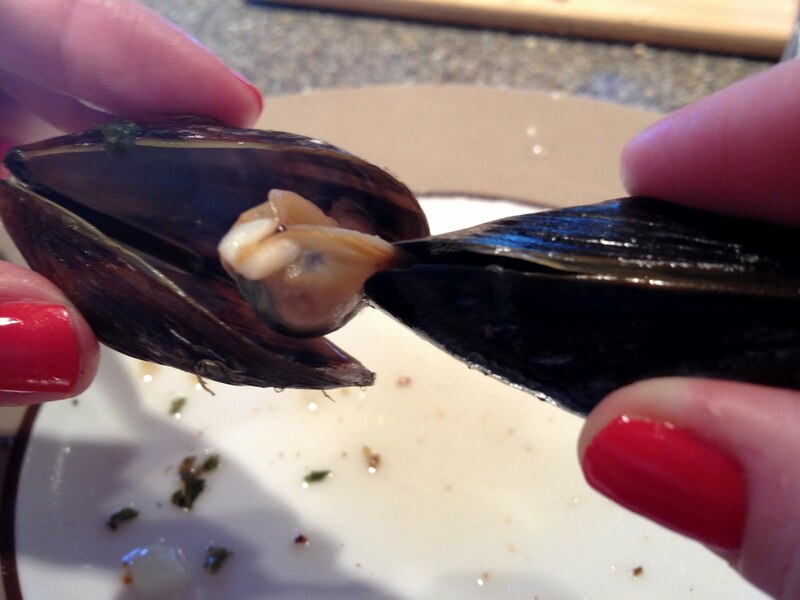 Using slotted spoon, transfer mussels to large shallow bowl. Boil broth in pot until reduced to 1 cup, about 3 minutes; season to taste with pepper. Pour broth over mussels.